Filipino President Rodrigo Duterte has called on the Catholic Church to allow priests to have boyfriends. 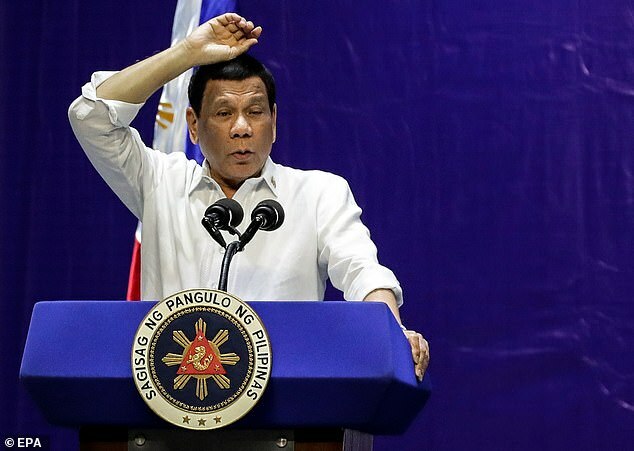 In a shocking speech given at a groundbreaking ceremony for a school near the capital Manila on Friday, Duterte claimed ‘most priests are gay’ as he doubled down on a previous claim that ‘almost 90 percent’ of the clergy are homosexuals. ‘Only I can say bishops are sons of b*****s, damn you. That is true. Most of them are gay,’ he said. Duterte, who is a practicing Catholic, has previously spoken openly about his childhood abuse at the hands of a priest. It comes just a month after Duterte said in a speech at the Presidential Palace in the Philippines that Catholic priests are ‘useless fools’ who should be ‘killed’. 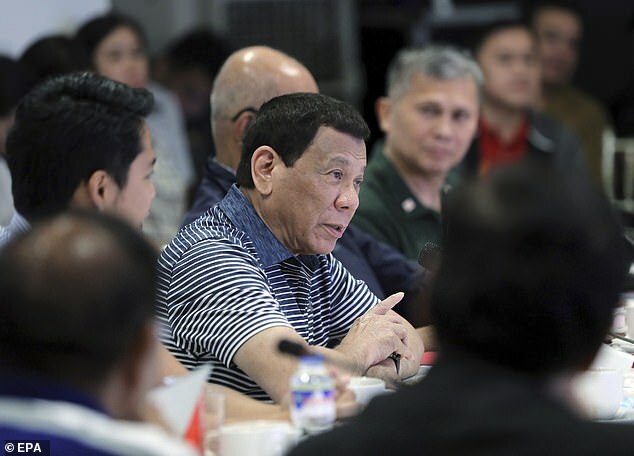 Duterte’s strong remarks are believed to have been made in response to the Catholic church’s opposition to his government’s ongoing war on drugs, which has left thousands dead. It comes just a month after Duterte said in a speech at the Presidential Palace in the Phillippines that Catholic priests are ‘useless fools’ who should be ‘killed’. According to local reports, Duterte’s comments were made during a speech at the presidential palace on December 6. ‘These bishops that you guys have, kill them. They are useless fools. All they do is criticise,’ Duterte said. He also called the church ‘the most hypocritical institution’ and said his God is different from the one Catholics worship. The Catholic church has also made their concerns known, following the death of three of its priests since December 2017. However, Duterte has hit back at the church on various occasions about church morality in light of the high-profile international sexual abuse scandals involving priests.